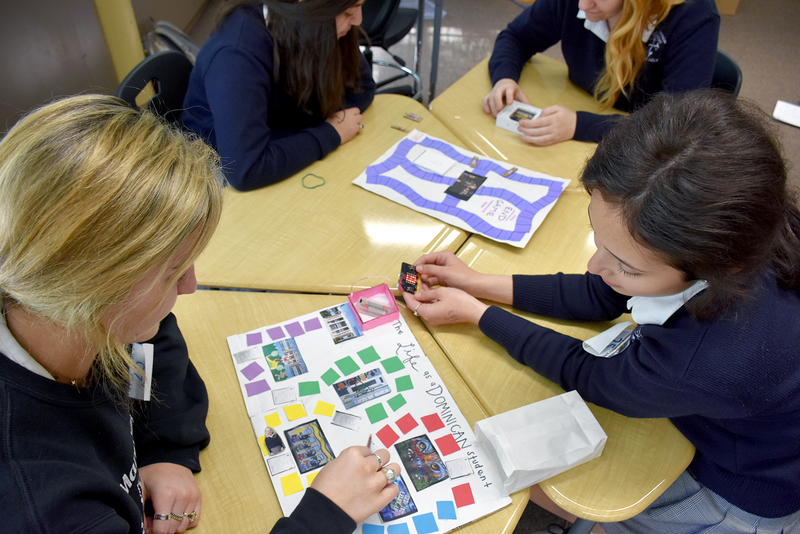 Students in Ms. Charlene Ford’s Computer Science Elective learned about coding and applying skills using Micro:bits, a handheld, programmable micro-computer. 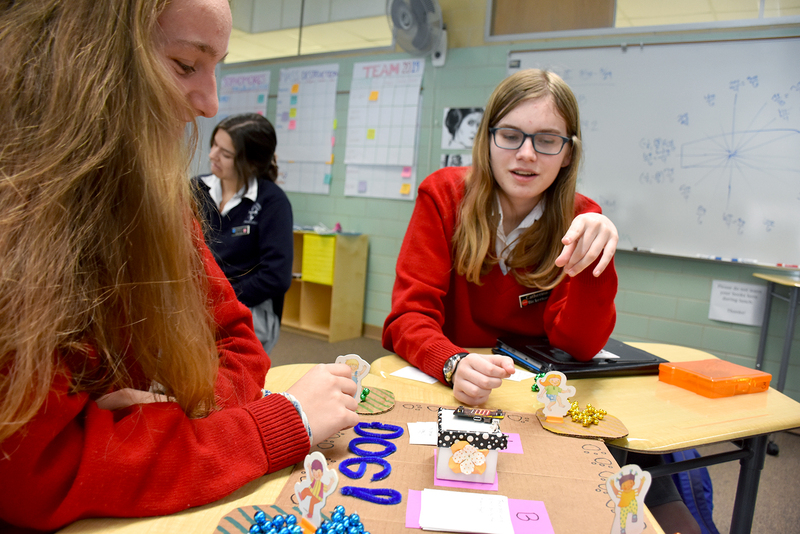 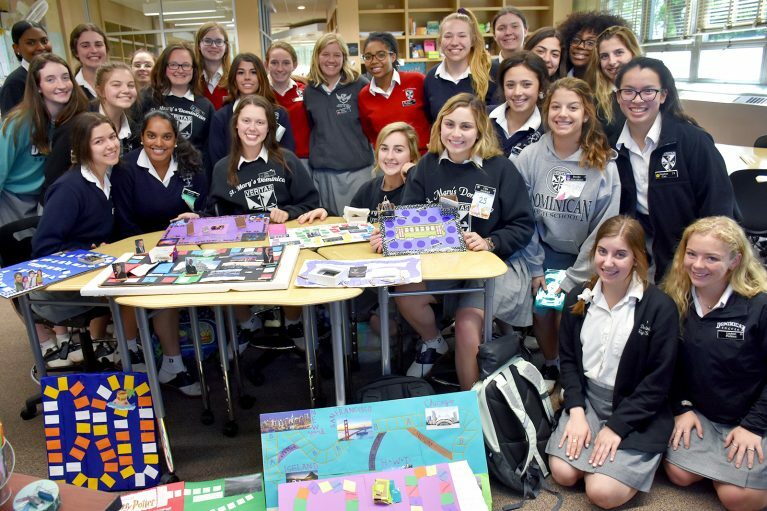 For this project, students worked in pairs to design and construct board games. 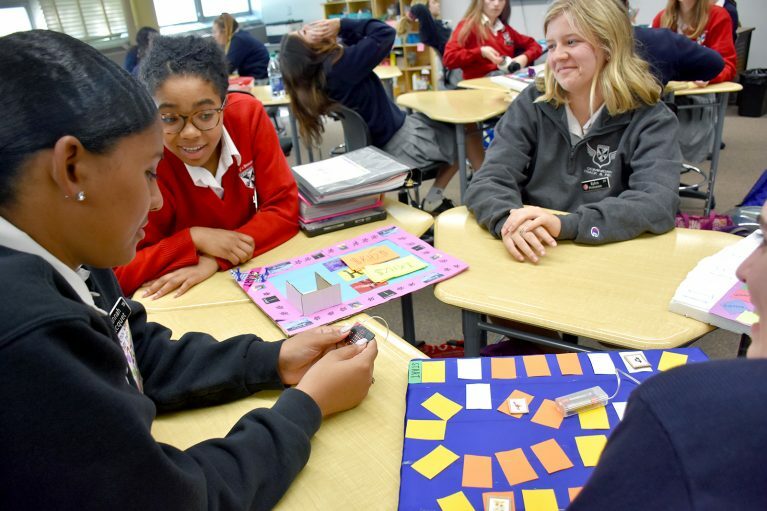 The Micro:bits had to be used for at least three tasks: simulate rolling dice, indicate which direction to move a game piece, keep score, tell the player to pick a card, or anything else needed to play the game. 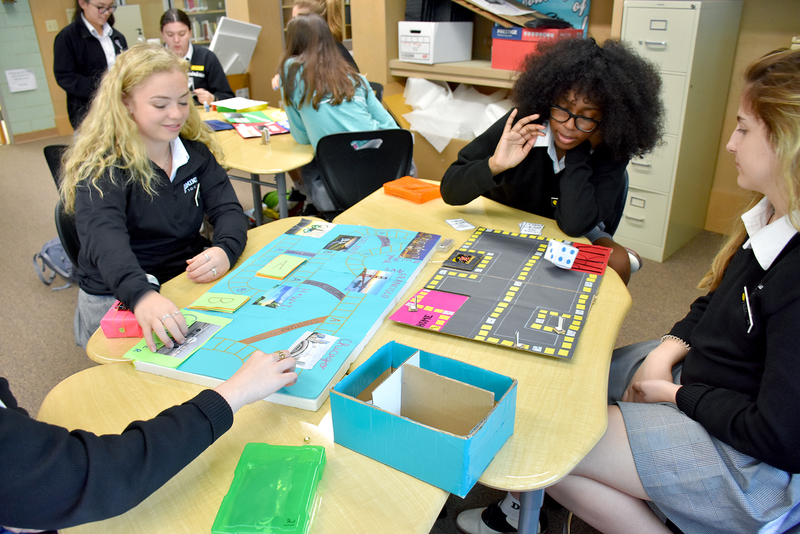 In class, student groups swapped games and did beta-testing to make sure the coding and game instructions worked properly before they turned in their final projects.